In October 2019, the 33th Edition of PRIX EUROPA will take place in Potsdam/Germany. What makes PRIX EUROPA special is that adjudication is in the hands of open jury groups instead of traditional juries. 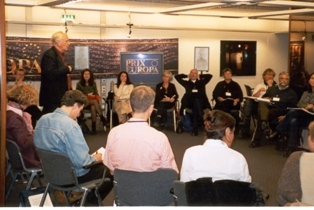 At PRIX EUROPA the judging is open to all festival delegates who undertake to jointly view all the programmes in one of the categories, discuss them in public, and then assess them using a points system. Each television organisation and independent producer - irrespectively of having entered a programme in the competition - may send two delegates to serve in each jury group. 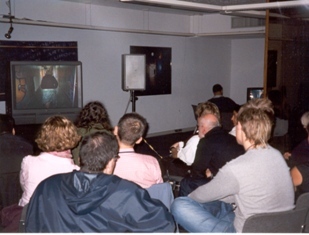 In addition, an unlimited number of observers may participate in all sessions of the jury groups. 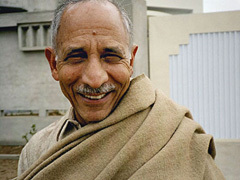 Observers may take part in the discussions, but not in the selection of the prize winners. 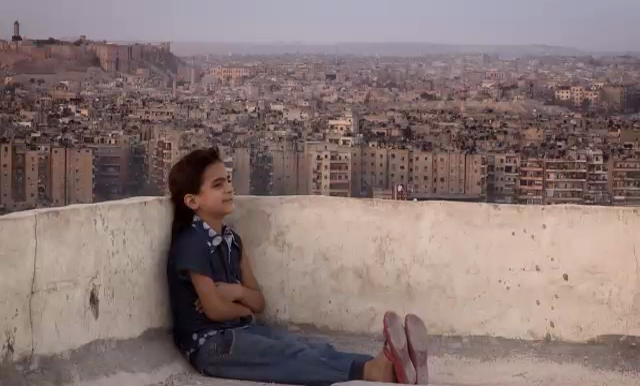 The documentary tells the story of the Syrian Civil War through one family’s experience and the lives of three young girls and their brother over three years. The journey of Sara, Farah, Helen and Mohammed and their mother Hala, from war-torn Aleppo to the sleepy German town of Goslar, is captured with intimacy and honesty and offers a true insight into the psychological and physical hardship of leaving your home for good. The whole tragic story of the Syrian Civil war from the uprising against the Assad regime, the emergence of Islamic State and the ensuing refugee crisis is captured through this portrayal of four young children and their parents – it is a deeply personal account of life turned upside down by the Syrian conflict. In the past days the jury viewed and judged 16 important and excellent films dealing with cultural diversity. Many candidates for an award - and the TV Iris Jury clearly decided for a film that dealt with one of the biggest dramas the world today is struggling with: the film follows the unique story of a Syrian family that tries to survive in the ruins of Aleppo. It shows the madness of a never-ending war that has traumatised the Syrians and the rest of the world. The film focuses on the universal question: do you stay and fight or go and rescue your life and your family. In the 1960s, thousands of North Africans came to work in Belgium. Among them were women who had left everything behind to follow their men to an unknown country. “Patience, patience—you’ll get to heaven,” is what these women are repeatedly told to encourage them to put up with their lives without complaining. Fifty years on, some of them are savoring emancipation. They turn out to be incredibly fun, loving, and capable of uninhibited self-mockery. This film follows them as they make new discoveries, through the simplicity of their excursions, their warm femininity, and sense of humor. This heart warming tale of female friendship and empowerment is told through the eyes of a group of women emerging from a life-time spent in the shadow of their husbands. Mina and her friends left Morocco as girls and lived as housewives in Belgium. For decades their world shrinks to the confinement of family and home. The film charts their journey to emancipation. We see them regain their youthful enthusiasm and fulfil their dreams. At a time when the media portrays Muslim women as silent and oppressed, this film shows strength, comradeship and independent spirit through intimate portraits and humour. Live calls from the torture camps in Sinai: since Europe closed its borders in 2006, thousands of Eritrean refugees flee their military dictator-ruled country north to Israel, their gate to the west, crossing the Sinai desert. There, many are kidnapped by Bedouins and taken to one of the hidden camps. The film intimately follows Meron Estefanos, an Eritrean journalist-activist living in Sweden since many years, running a popular online radio program, publishing the stories of these camps while recording their inmates' pleas for help. We are with Meron when she searches for Timinit, a girl of 20 years who arrived at the Israeli border but from there is never seen again. And we follow the story of a man who desperately tries to free his wife, who gives birth to their child in captivity. When Eritrea gained independence in 1993, it became a military dictatorship. Military service is obligatory for everyone; women are exempted only when pregnant. 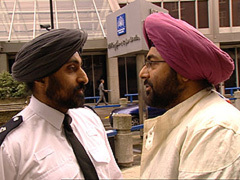 Any critic or opponent of the regime faces immediate arrest. 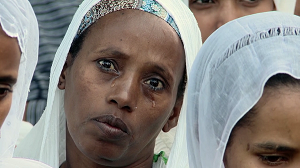 Around 3,000 Eritreans flee their country every month, despite a "shoot-to-kill" policy on the borders. In the last decade, more than 300,000 Eritreans have fled their homeland, also to Europe. Sound of Torture gives a face to those nobody cares about, touching political, cultural, and geographical matters. The winner in this category was for the majority of the jury an absolut eyeopener. This film is an amazing piece of work about a totally ignored problem in the world of today. It is most daring visually by its often revealing camerawork and maybe even morse intense by using the sound of peoples voices. Extremely powerful and breathtaking scenes totally grasp the viewer. A heroic portrait of a remarkable and brave young woman who on her own struggles for the fate of a group of people who are captured in horror while seeking safety in another country. The protagonist shows that the courage and engagement of one person alone can change the world. 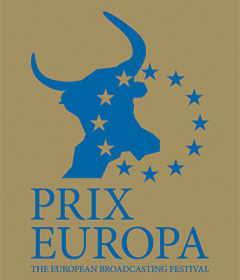 In October 2013, the 27th Edition of PRIX EUROPA took place in Berlin.